Prerequisites: Basic to advanced understanding of object oriented design principles. 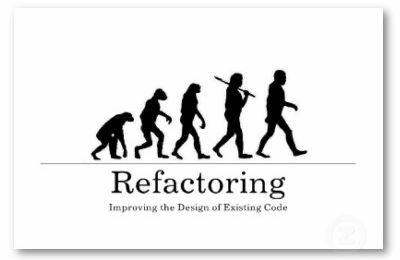 Refactoring is the process of changing software without altering its external behavior. Refactoring software to make it maintainable and extendable has become a recognized best practice and has been incorporated into many Agile practices such as Scrum, TDD and XP. Refactoring improves the structure of the design of a system to allow for later extensions or to make maintenance easier. This course teaches attendees how to recognize that code needs to be refactored (code smells) and the steps for common refactorings including the refactorings provided by tools such as those in Eclipse and the Refactoring Browser. It is important to refactor software in a disciplined way to minimize disruptions and to allow the system to safely evolve. C#/.NET, Java, C++, and Smalltalk examples will be shown that illustrate how and when to refactor. Exercises will enable students to gain proficiency in spotting poorly structured code and then making appropriate refactorings. Advanced Refactorings will also be examined including Refactoring to Patterns. Motivation for refactoring: when and where and why do it? This course is recommended for object-oriented designers and software developers; specifically, those who are creating object-oriented systems and frameworks. To complete the course exercises, attendees should understand object-oriented programming concepts and have experience coding in C# or Java. It is also recommended that the attendees should be familiar with Design Patterns or have taken a Design Patterns course.